Lovina is a sleepy coastal village in the north of Bali. Do you know that there are lots of nice things to see and do around the town? The centre is quite charming and you can easily get yourself around on foot, exploring the boulevard, the beach, and the colourful streets full of shops, cafés, local warungs, and restaurants. Here is our complete Lovina Bali Travel Guide – the most popular tourist destination town in the North of Bali. The possibility to see dolphins in their natural habitat is one of the main reasons why Lovina is popular. Every morning, there are hundreds of dolphins to be spotted out at the sea, not too far from the coast. They are swimming in groups around the traditional fisherman boats and jumping up in the air. It is a magical experience and an amazing sight! 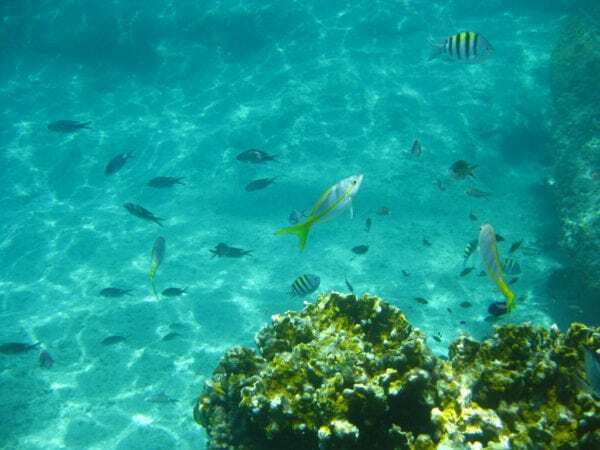 In the high season, the sea can get quite crowded with boats and tourists trying to get a glimpse of these magical sea creatures, making the experience less enchanting. To avoid this, simply ask your captain to skip the sunrise and start the dolphin watching tour a bit later around 07.30 instead of 6 am. This way, you will avoid the crowds and get the full-blown experience. The dolphin watching trip should cost around Rp. 100.000 per person. The Vihara Buddhist Temple is the biggest Buddhist temple in all of Bali and is really is beautiful, surrounded by lotus ponds and landscaped gardens. To enter these holy grounds, you will need to wear a sarong, provided at the entrance. You can enter this monastery for free but a donation is very much appreciated. 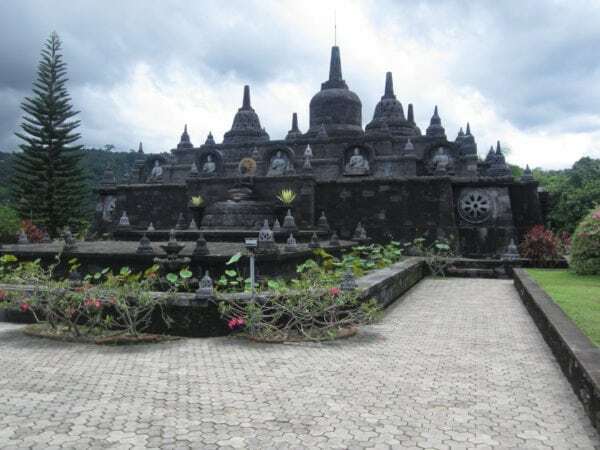 The Vihara Buddhist temple, located 11 kilometres from Lovina, is not a tourist attraction, it is a true place of worship and meditation. Wandering through the serene gardens of this Buddhist temple really does calm your being. The ambience is so peaceful and the surroundings are just beautiful! You can see Buddhists doing their practices in the garden, there are stunning Buddha sculptures to admire and the highlight is a temple complex inspired by the famous Borobudur, located on the neighbouring island Java. Location: Vihara Buddhist Temple, Gang Sahadewa, Banjar Tegeha, Banjar, Kabupaten Buleleng. Always wanted to bathe in a natural hot spring? This is your chance! The hot springs of Banjar are found just a short 5-kilometres drive away from the town of Lovina, high up in the hills. This sacred place features Balinese hand-carved sculptures and fountains, cascading water into the three natural spring pools. The sulphatic water is warm and the springs are surrounded by tropical jungle. 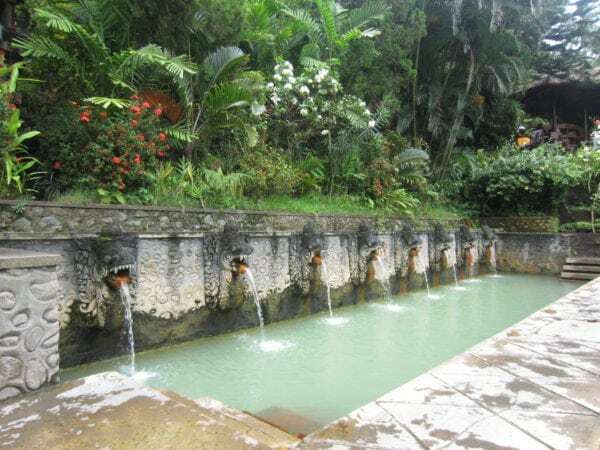 The Banjar Hot Springs are popular among both locals and tourist. There are changing cabins and there is a restaurant with a lovely view over the surroundings, serving fresh juices, coffee, and simple food. Location: Banjar Hot Springs, Jalan Banjar, Banjar, Kabupaten Buleleng, Bali. Entrance fees: Rp. 10,000 for adults and Rp. 5,000 for kids. The secret garden of Sambangan is one of Bali’s best-kept secrets! A visit to this amazing attraction of nature leads you to see 7 cascading waterfalls if you go for the long trekking and it includes a visit to the famous 35-metre high cascading Aling Aling waterfall. During the hike, you will walk through the gorgeous unspoilt landscape, passing rice paddies and lush green tropical jungle. Those who are on the hunt for a thrilling adventure in nature will love it here! Do you dare to slide down a 10-meter natural waterfall slide or jump down a 10-meter cliff into a natural pool down below? Entrance to the Secret Garden of Sambangan is donation-based but I would recommend getting a guide to show you around, especially if you want to do the waterslide and the cliff jump. Don’t be afraid to bargain with your guide about the fee. Location: The Secret Garden of Sambangan, Sambangan, Sukasada. Can’t get enough of exploring the underwater world of Bali? 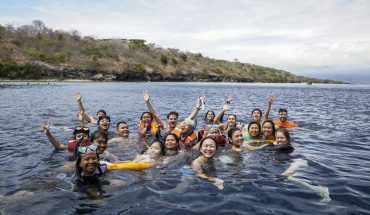 In Lovina, you can go on a lovely snorkelling trip in a traditional Jukung fisherman’s boat or you can go diving as there are many dive schools around town. The boatman will take you to several spots to admire the amazing underwater life of Indonesia. Lovina hasn’t got the best spots of Bali but it is still really nice to gaze at what lives in the deep blue sea of this ocean. You can also opt to book a day trip to Menjangan Island in the west of Bali, one of the best snorkelling and diving spots in all of Bali. Yes, at this part of Bali island, there are many waterfalls you can visit. 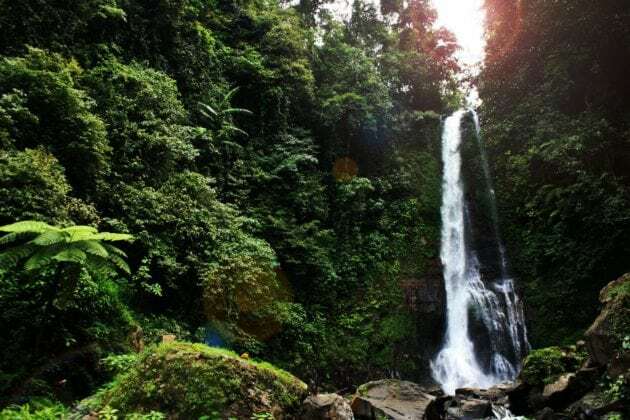 The ‘twin falls’ of Git Git should not be missed during your stay in the north of Bali. This majestic 40-meter waterfall is also referred to as twins because the cascading water often splits into two equal streams. You will enjoy a wonderful walk through the breathtaking nature of Bali to get to the waterfall and once there, you can even bathe in the refreshing water of the pool down below. The Secret Garden Restaurant is a small yet very charming restaurant. The perfect place to go for a romantic candlelight dinner with your loved one. The restaurant indeed has a wonderful garden setting and it is located just outside of the centre of Lovina. But, no worries, they provide a free shuttle service. The cooking is done with heart and soul, no wonder it is a much loved best-kept secret dining venue with only 5 tables. Akar is a charming riverside café serving delicious home-cooked vegetarian food. A great place to go for breakfast, lunch or even a coffee break. They serve delicious Illy coffee and they bake great yummy sweets to go with your cup of black goodness. I also love their salads and soups. If you are into health food, check this one out! Location: Akar Cafe, Jl. Binaria, Anturan, Lovina. 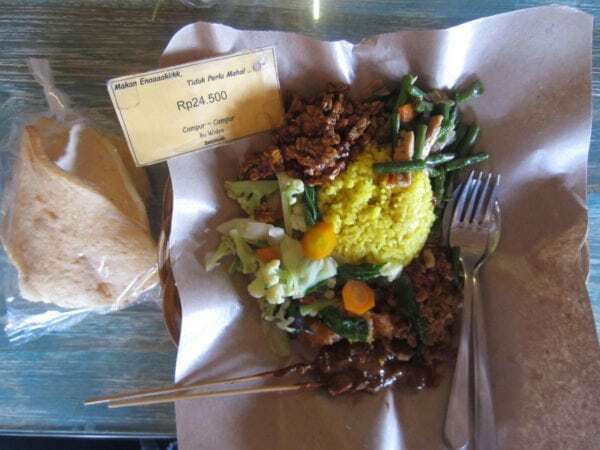 This restaurant serves outstanding Indonesian and Balinese cuisine, including fresh seafood, lobster, and duck. Thé place to go for a fancy dinner on a special night out. The food is outstanding and the price is still friendly to your holiday budget. The chef cook has international experience and he also gives cooking classes for those who want to learn all of the ins and outs of the local cuisine. Location: Le Jeanzan Restaurant, Jalan Seririt-Singaraja, Kalibukbuk, Banyuasri, Kec. Buleleng, Lovina. Hidden away in the beautiful nature of North Bali, there are some amazing luxury villas you and your loved ones can stay at. 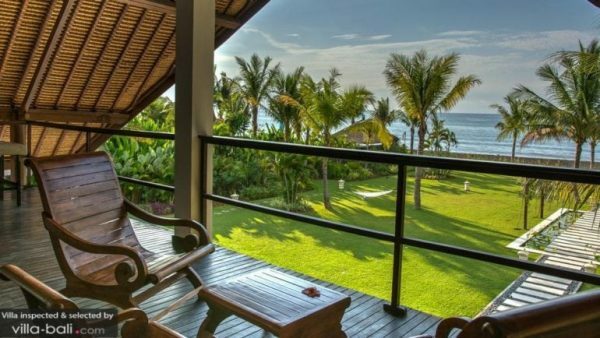 Great for families wanting to stay somewhere peaceful and quiet, close to the town of Lovina and all of the natural attractions in the north of Bali. 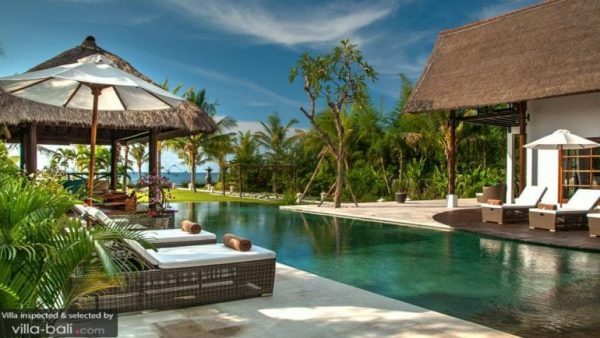 Take your pick between some of these amazing holiday rentals or check out our complete selection of Lovina Villas. Villa Bloom is everything you dreamed of and more. Mesmerising views, amazing facilities, plenty of toys to keep the kids entertained, modern comforts and an amazing team of staff looking after you during your stay. Guests staying at Villa Bloom even enjoy the luxury of having their own private Gourmet Chef at their service. Not just any chef that is, Villa Bloom’s Chef is specialised in healthy food such as Ayurvedic, vegan, raw and macrobiotic cooking. The villa features a huge terraced garden that blends in seamlessly with the surrounding rice paddies and the ocean view is breathtaking! There are three comfy bedrooms to retreat to at night and there are two extra beds available, making it possibly for a family of 8 (or 2 smaller befriended families) to stay at Villa Bloom. 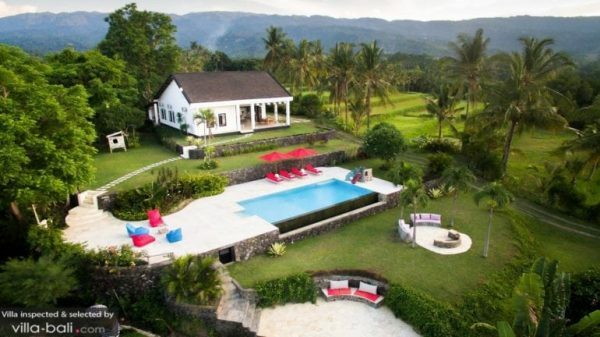 Location: Villa Bloom is located up in the hills, just a short drive from the charming town of Lovina and it makes a wonderful family haven from where you can explore all of the hot spots of the north. Villa Bloom, Prices start at US$324 (low season) and US$374 (high season). 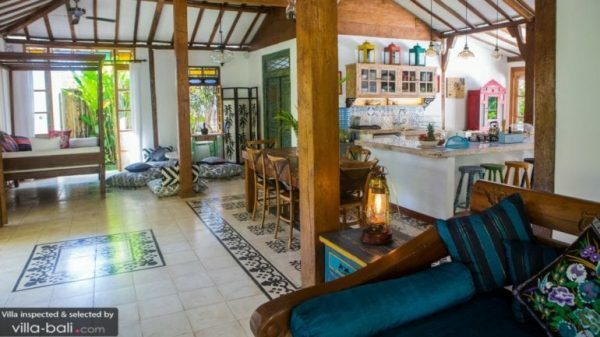 The great thing about this Lovina Luxury Villa is that you get to stay in a rustic traditional Javanese wooden house. 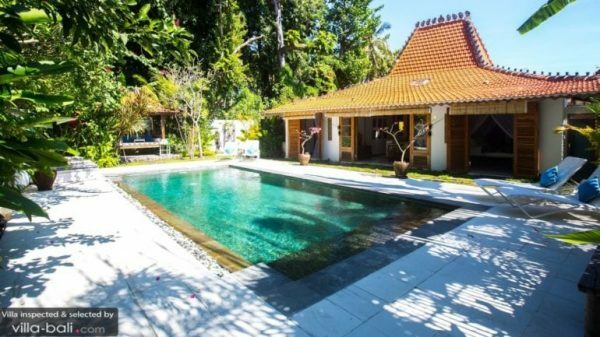 You can rent this soulful getaway of north Bali as a two- or three-bedroom villa, suited to your needs and wishes. The villa features a tropical open-plan design, allowing you to enjoy the sea breeze all day long. The interior is ruled by gorgeous antiques, textiles, traditional artefacts and vivid colours, adding charm to the place. The garden is lush green, fitted with a large private swimming pool to dip into whenever you wish. Location: Villa Joglo Lata Lama is located right by the sea. Within minutes, you can be standing in the centre of Lovina. Villa Joglo Lata Lama, Prices start at US$230 (low season) and US$287 (high season). This beachfront beauty is a magnificent yet affordable 4-bedroom holiday retreat, perfect for large families wanting to stay somewhere beautiful and quiet. The estate boasts a huge private garden with ocean view, a glistening private swimming pool, lots of places to sit and dine together, both indoors and out, and it houses 4 comfy bedroom suites. You can rent Villa Aparna as a 2, 3 or 4-bedroom property, welcoming both small and larger families. 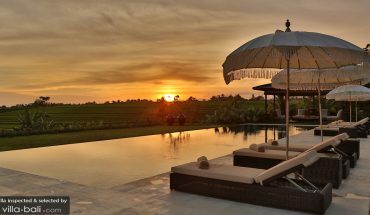 Location: At Villa Aparna, you will experience true luxury and tranquillity, located right by the pristine black volcanic shore of north Bali. It takes around 20 minutes to drive to Lovina Town. Villa Aparna, Prices start at US$285 (low season) and US$395 (high season). Lovina is located in the north of Bali, close to Singaraja, Bali’s second largest city, and former capital. It takes around 3 hours to get to Lovina from the South, where the island’s international airport is located. The trip takes you through the mountains of central Bali and it is a beautiful ride! If you are driving a motorbike, it makes an unforgettable journey where you can stop at many of the island’s hot spots. 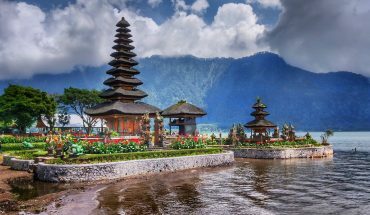 You will pass strawberry plantations, the town of Bedugul and its surrounding lakes, the Pura Ulun Danu Bratan temple, and the Munduk waterfall. 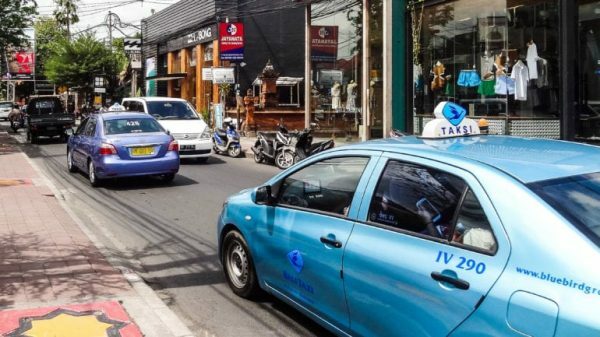 You can also take a shuttle bus, leaving from all of the popular tourist destinations in Bali, such as Seminyak, Kuta, and Ubud. They are easy to book on the streets at the local street vendors. Lovina awaits you! Villa Finder’s favourite activities in Bali – We work hard, and we play hard!